Whether you’re an experienced mountaineer, a hardened climber, or about to embark on your first expedition, nothing is more critical than anticipating, understanding, and preparing for the adversities and accomplishments that await you and your team. 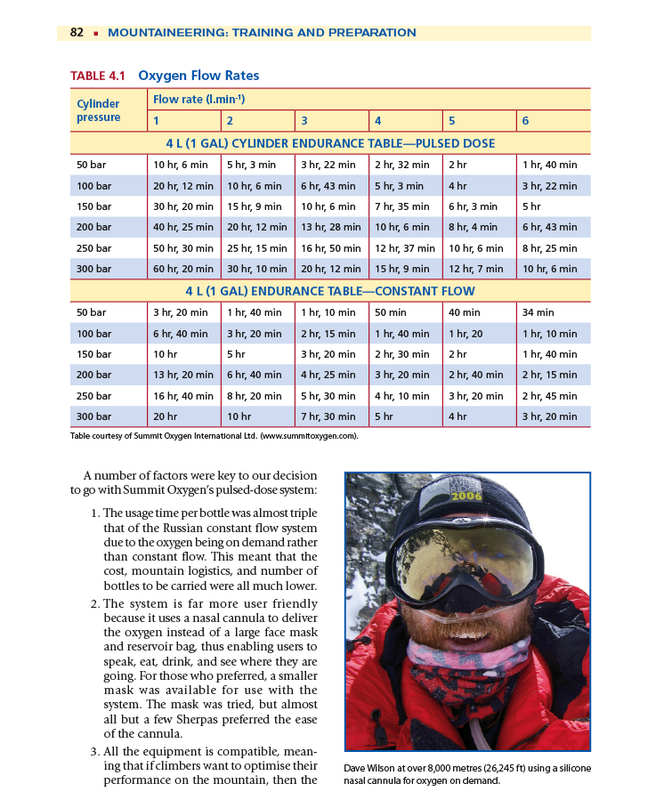 From the technical aspects of a climb to the leadership and teamwork skills so essential to success, this comprehensive guide covers all of the essentials for a safe and successful expedition. 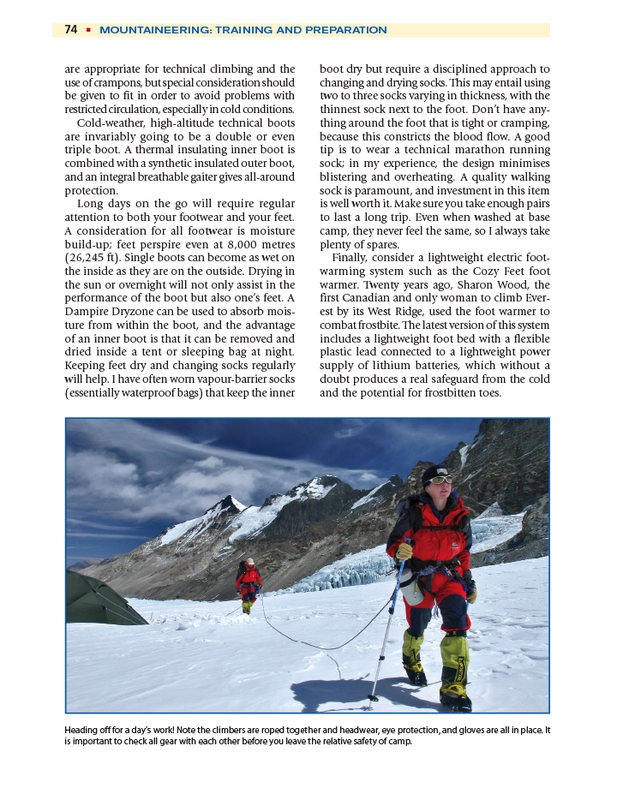 Mountaineering: Training and Preparation is must-read for every mountaineer. Read it before your next expedition. Carlton Cooke is the director of university research, Carnegie professor of sport and exercise science, and head of the Carnegie Research Centre for Performance Sport at LeedsMetropolitanUniversity. 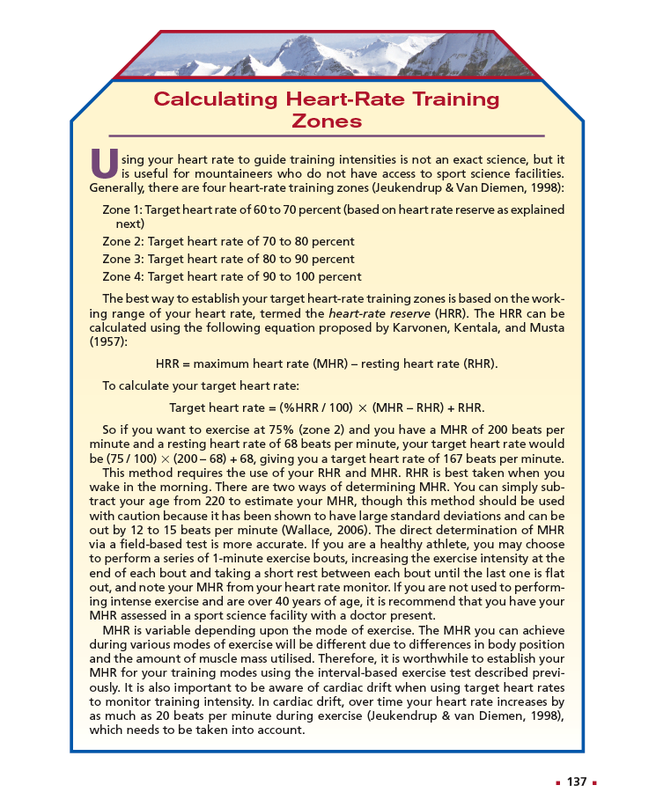 Carlton has presented and published extensively on aspects of sport performance, physical activity, exercise, and health, principally in the areas of exercise physiology and biomechanics. He has worked with a range of partners in high-performance sport in facilitating, developing, and delivering support and research in sport science. 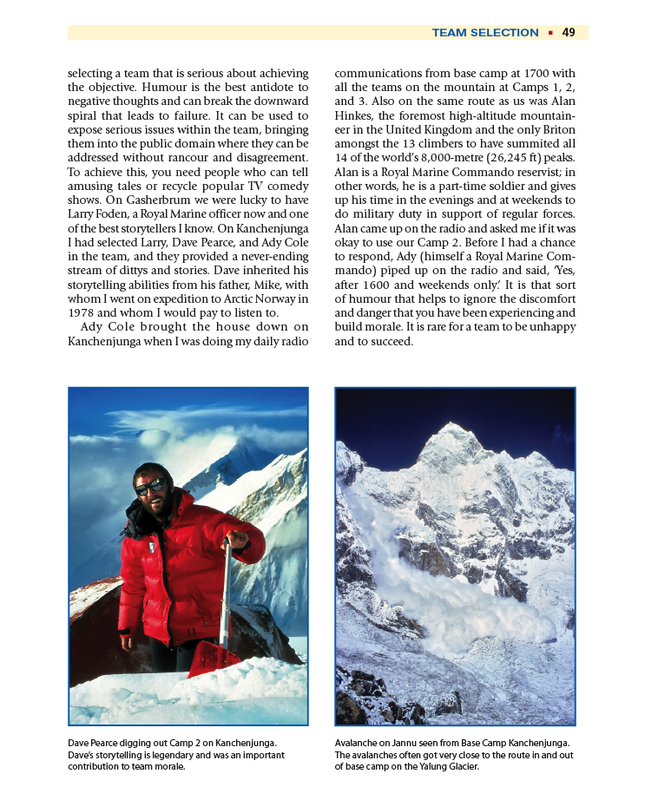 He worked with a team of sport and exercise scientists from LeedsMetropolitan University in support of the British Army expedition to Everest West Ridge in 2006. The university continues to support preparations for army expeditions and other expeditions in the outdoors as well as commit to optimizing the role of the outdoors in higher education through the Carnegie Great Outdoors. Carlton has participated and competed in various outdoor sports and activities and continues to enjoy the outdoors both professionally and recreationally. Dave Bunting is director of training and cofounder of My Peak Potential, an experiential learning and development centre in the Bavarian Alps of Southern Germany. He served 24 years in the British Army, predominantly within the Army Physical Training Corps, where he became a specialist in mountain leadership training. He has instructed in mountain training centres in Wales, Norway, Canada, and Bavaria. In Bavaria, he undertook the arduous year-long German Army Mountain Guide’s (Heeresbergfuhrer) course, becoming one of only a few British soldiers to have gained this prestigious qualification. Dave has a passion for mountaineering and has been involved in the organisation and execution of numerous expeditions, including 10 to the Himalayas. In 2006 Bunting led an elite selection of climbers from the British Army on a groundbreaking expedition in an attempt to become the first British team to climb the formidable West Ridge of Mount Everest. As expedition leader, Dave headed up the planning, team selection and preparation, and he was a strong member of the climbing team. This highly publicised expedition earned Dave an MBE and was filmed for the televised documentary Everest: Man vs. Mountain. Dr. John O’Hara is a senior lecturer in sport performance physiology within the Carnegie faculty of sport and education at Leeds Metropolitan University. His PhD was on carbohydrate ingestion and endurance performance. He is a sport and exercise scientist accredited with the British Association of Sport and Exercise Sciences. His research interests are focused on carbohydrate metabolism, hydration status, limiting factors for sport performance and the preparation of athletes for extreme sporting challenges. As a hill walker, mountain biker and climber, he has a keen interest in the outdoors. John has been on two Himalayan expeditions: Yala Peak (5500 m) and a climb to camp 1 on the lower slopes of Mount Everest (6100 m) with the Everest West Ridge 2006 team. He has also summited Mount Killimanjaro (5895 m). Through his cumulative experiences in academia and in the great outdoors, he led, developed, managed and delivered the multidisciplinary support services to the Everest West Ridge 2006 team, which included physiological, nutritional and psychological support. Since then, he has provided a similar level of support to other Army Mountaineering Association expeditions and other sporting disciplines, such as the Vendée Globe 2008, a round-the-world single-handed sailing race.